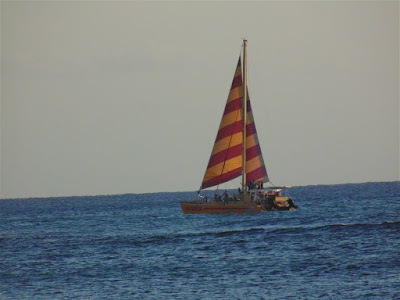 A sailboat sails by in the water off of Waikiki. I love how the sailboats colors contrast with the ocean and sky background. Though I wish I was on the sailboat and not just taking a photo of it from the shore. 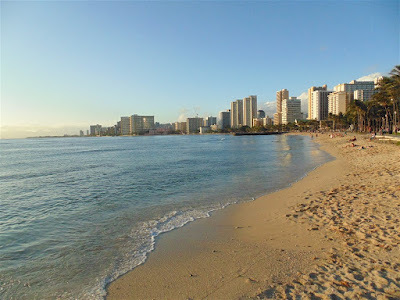 Here is a photo taken along the stretch of white sandy beaches in Waikiki. 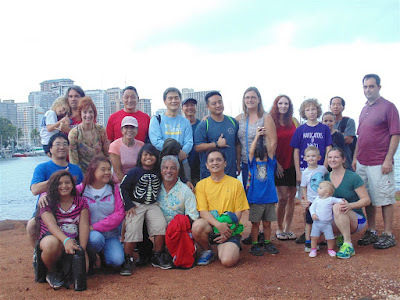 I took this one near the Waikiki Aquarium away from the big crowds. If you look carefully at the reef area near here you can find the Humuhumunukunukuapuaa which is a reef trigger fish and also our official state fish.